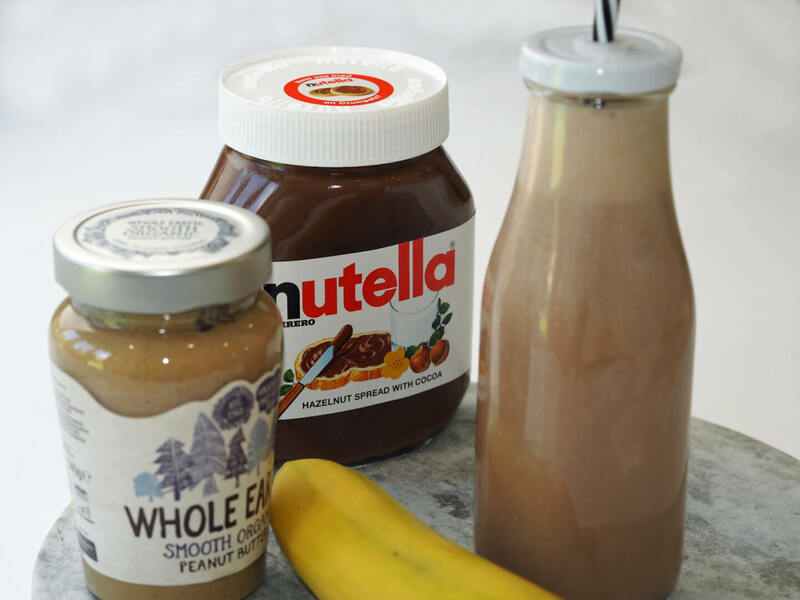 The next recipe from the Arla Choose Goodness campaign for Seven Great Days is my peanut butter and chocolate smoothie. This tastes too good to be healthy and is definitely for those of you with a sweet tooth. This one is a big favourite with my other half who keeps asking me to make more for him, so you may want to double the ingredients if your other half is going to have breakfast envy too. 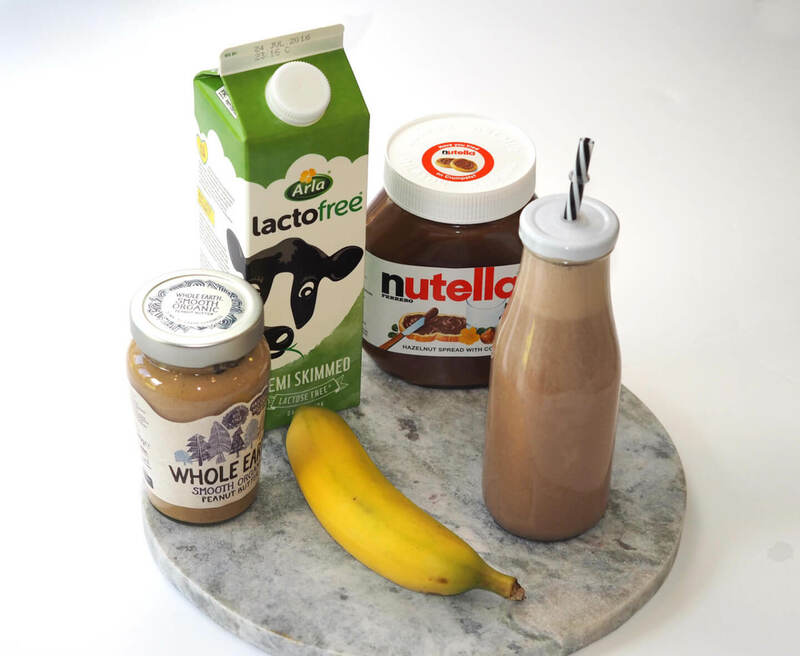 If you don’t have as sweet a tooth you should try one of my other Arla Choose Goodness recipes, such as my berry smoothie instead, which is Lactofree keeping it Low FODMAP too. Why would you use lactofree milk and then an ingredient (Nutella) which contains lactose? Hotel chocolate’s chocolate spread doesn’t have any lactose in it, for anyone who was interested in the recipe but is lactose-intolerant. Because I’m not lactose intolerant, I’m on a Low FODMAP diet which indicates I’m allowed 50ml of lactose a day, meaning I can have the Nutella (3tsp= approx 18ml) but not the milk in this quantity.